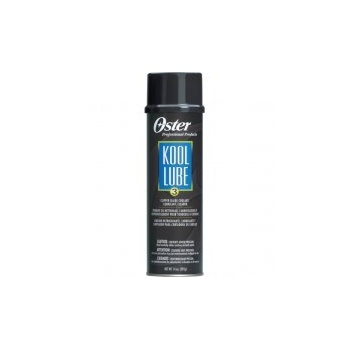 Kool Lube 3 is non-flammable and non-conductive and therefore can be sprayed while equipment is running. Kool Lube 3 is a quick effective lubricant that provides instant cooling, lubrication and cleaning for your clipper blades. Simply spray Kool Lube 3 through the clipper blades occasionally, during the time you are clipping. The results are reduced friction, heat and less blade wear without a heavy residue of oil.